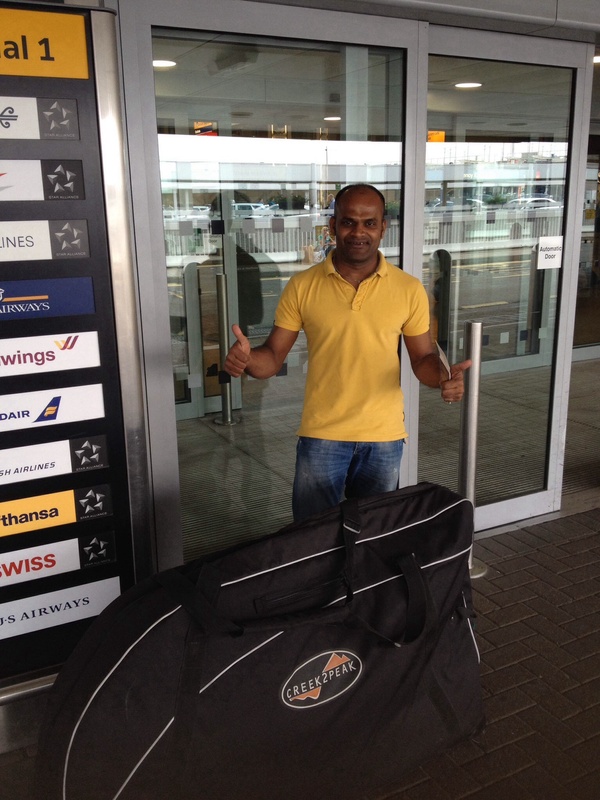 I left London on 1st June 2014 to start my bike tour. Iceland air flew me to Anchorage, Alaska via Reykjavik. 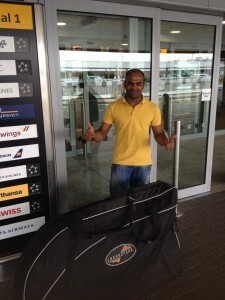 I spent the first two days collecting my gear from REI, an excellent outdoor equipment shop in the USA. They seem to take care of their customers very well, answering all the questions patiently, without looking at the clock or rushing around. No, I am not getting any sponsorship to write this. I was very impressed, especially the bike maintenance guys. 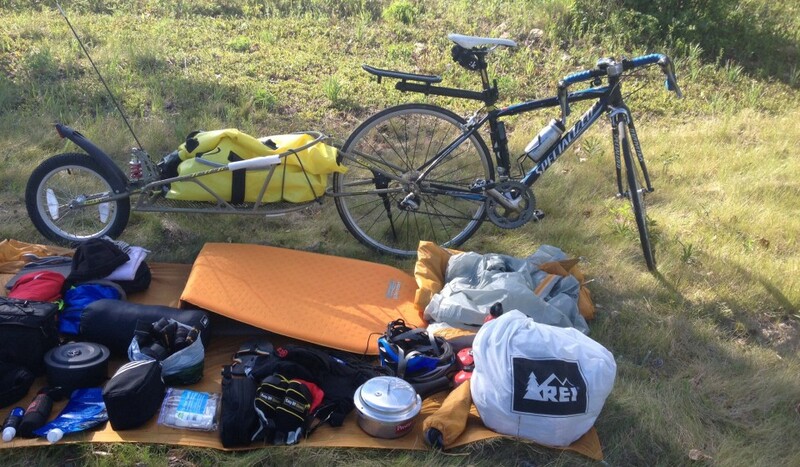 There was no time for sightseeing in Anchorage, because I only brought my bicycle from London, so I spent two full days at REI collecting rest of the gear (camping gear, bike trailer, spare parts etc.). 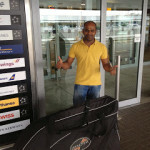 Paul Huske from Warmshowers (a web based platform to connect bicycle tourers) met me at the airport and gave all the information needed for a person visiting the Arctic Tundra region who grew up in a tropical country. How to deal with the Bears was a good start. Alaska welcomed me with brilliant weather, around 20 degrees C for most of the week, perfect weather to start my trip. Paul saw me off on the bright sunny morning on 4th June. Getting out of Anchorage was quite easy, there was a bike lane for about 30 miles. On the first day I cycled about 62 miles to the town called Palmer where I met Raylene and Kent, my first Warmshowers hosts. They let me pitch my tent in their yard and made lovely dinner. I had a great evening with them. Raylene was very kind and caring. I think Raylene and Kent, as my first Warmshowers host, set the bar high! 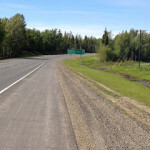 On the second and third day, I was riding on the Parks highway a 360 mile road that connect Anchorage and Fairbanks and goes via the infamous Denali National Park, home of majestic Mt McKinley. As you can see from the video, the weather was perfect and I had 360 degrees video of the snow capped mountains for the next few days. On the third day, I had the much dreaded puncture on my bike trailer wheel! I had 5 spare tubes and two spare tyres for my bicycle but none for my trailer wheel, so my immediate reaction to the puncture was panic. Luckily there was a cafe two miles down the road where I stopped to fix my puncture. The girl at the bar asked, ‘are you the guy cycling to Argentina’, I said, ‘yes, after I fix the puncture’. You can imagine which one I felt was the most difficult task at that point in time. I met Bart another cyclist at the cafe who offered puncture patches as soon as he saw my puncture. He was there because he had several punctures the previous day and decided to spend the night near the cafe. It seems punctures unite cyclists. What is the odds of meeting another cyclists waiting with puncture patches, offering much needed hope, something for the metaphysicsts to explain. 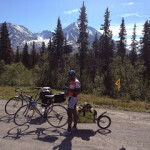 We became friends instantly and decided to cycle together to Fairbanks. He was going to Fairbanks to work for the summer. 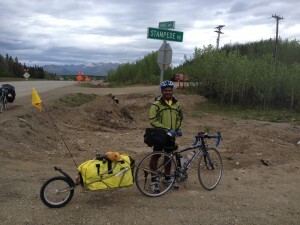 Bart bought a bike for 100 dollars and started cycling to Fairbanks, no preparation, nothing. His rain protection gear as seen in the picture explains it all I think! 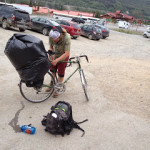 When we arrived in Denali, there were hotels and Bart instantly decided to stay in the hotel instead of camping and offered to stay in the twin bed in his cabin, (kindness of strangers?). On the fifth day, the clouds gathered and showered us, I was soaking wet and left me with no other choice but to take refuge in a lovely countryside hotel, Fireweed Roadhouse. I had a lovely evening at the bar, a couple of hours of conversation on politics cheered me up. 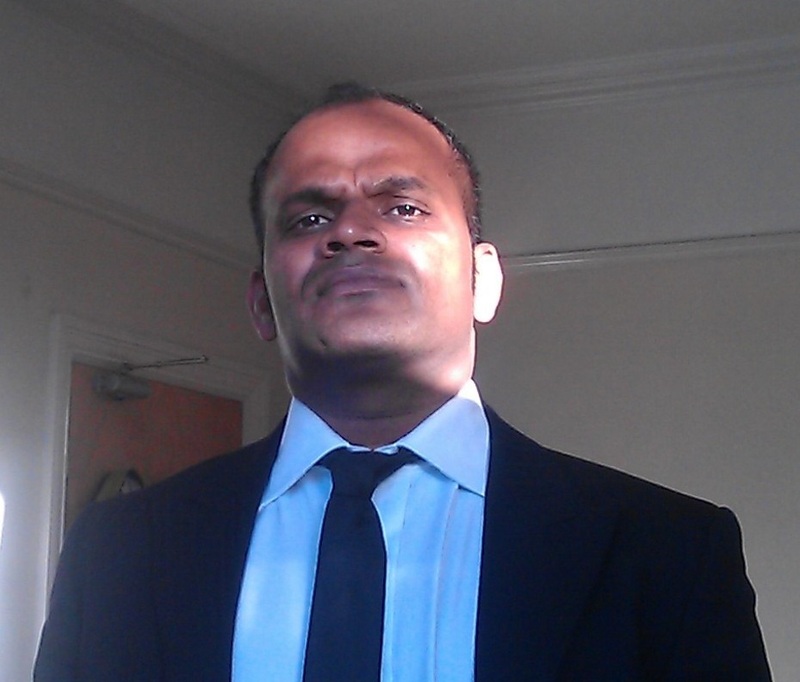 One of the key stories that inspired me was that of Christopher McCandlees. I highly recommend the movie and book by the same title, ‘Into the wild’. There is a bus some 20 miles into the trail where Chris lived and died. There are several quotes from his life; the one I liked most is what he wrote on that bus ‘I have had a happy life’, few days before he died. I think that statement says a lot. I wanted to set foot on this trail someday and I made this dream come true. I spent a few minutes there to remember and thank him for being a source of inspiration to live a ‘free’ life. I arrived in fairbanks after 6 days of riding, my bike computer read 651 Km’s. My second Warmshowers hosts at Fairbanks another lovely family opened their doors for me and Bart. Duncan Edwards knowledge of the local area and his stories about living at -40 degrees F were amazing. It leaves me wanting to visit Fairbanks in winter. I had two days rest at Fairbanks and then continued towards Canada. Bart decided to cycle further with me. After leaving Fairbanks on day 7 of my ride, we arrived at Birch lake camping site, 62 miles from Fairbanks, a beautiful campsite that reminded me of Switzerland. I could see the fish at the bottom of the lake, the water was crystal clear. Here I met another teacher, originally from Bristol, but living in fairbanks now who gave me a bear spray (kindness of strangers no.2). Overall, the start of my bike tour has been fantastic; excellent weather, lovely views and meeting fantastic folks – the way I imagined. In general Alaskans seem to be extremely friendly, almost everyone greets and starts talking. They are all so kind. I learnt so much about Alaska, this place is magical, so much freedom here. This state is three times the size of Texas and home for just one million people. For instance, there is no need for any planning permissions etc., people can build their house as they wish and most of them seem to do it responsibly and take care of their environment. The sun does not seem to set here in summer perhaps because Fairbanks is just 100 miles below the Arctic circle. I haven’t used my headlamps at all, even at midnight there is so much ‘daylight’. 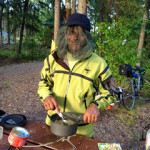 The mosquitoes are also in plenty, a headnet is essential for life in summer in Alaska. It will be nice if you can post some pics of the bus..